Even though many Americans understand the importance of STEM education, children in the U.S. continue to lose interest in science, technology, engineering and math subjects at young ages. Not surprisingly, 44 percent of U.S. adults say they felt more excited about science when they were kids, reports the State of Science Index, a global study commissioned by 3M examining the general population's attitudes toward science. Maintaining students' interest in science during the middle school years is crucial to increasing the likelihood they'll pursue STEM careers. That's important, since studies show our nation will need to produce an additional one million STEM workers between 2012 and 2022 alone. That said, we're still not on track to meet demand, partly because students continue to lose interest. What’s the answer? Creating a rich culture of STEM education in schools requires professional development, suggests Cindy Moss, vice president of global STEM initiatives for curriculum developer Discovery Education. She points to research showing teachers need 80 hours of cumulative targeted professional development before effectively teaching STEM-promoting classes. * Find role models. If a child doesn't know anyone working in STEM, he or she may be unable to imagine a career in such roles. Introduce him or her to people actively working in such fields, then encourage discussion and/or job shadowing. Teachers might bring in speakers who can answer candid questions about the rewards and challenges in their fields — including significant demand and attractive pay scales. * Seek achievement opportunities. 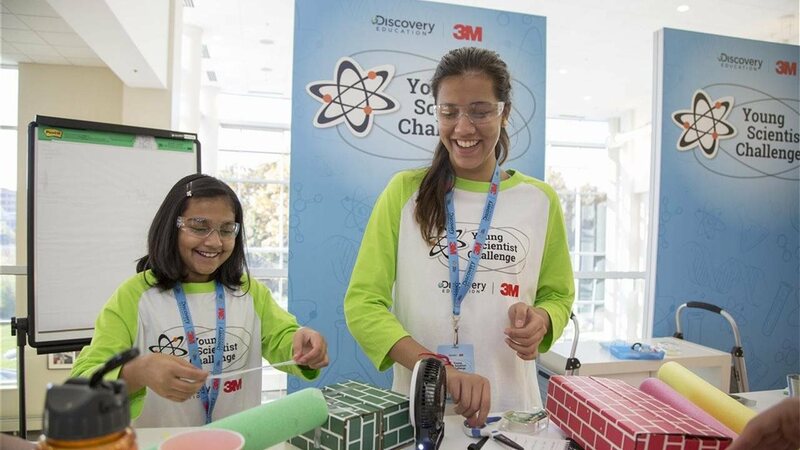 Introducing children to engaging events like the annual Discovery Education 3M Young Scientist Challenge may spark their sense of competition and passion for STEM. The annual contest, which is accepting submissions until April 19, invites innovators in grades five through eight to develop one- to two-minute videos describing their ideas for creative solutions to tackle everyday problems. The top 10 finalists receive a summer mentorship with a 3M scientist, and the winner will receive $25,000. Last year’s winner, Gitanjali Rao, developed a device that measures lead levels in drinking water, inspired by the recent water crisis in Flint, Michigan. * Discourage snap decisions. During adolescence, Moss notes, kids struggling to figure out who they are can easily form inaccurate perceptions of their academic weaknesses. Reassure your child one challenging assignment or bad grade need not rule out a future career. “Kids often make up their minds by sixth grade whether they’re capable of doing science and math,” says Moss. “We have definitive evidence that by age 6, girls have already started to internalize negative stereotypes that science and math are not for girls.” In reality, she notes, understanding science and math simply requires more thinking for some people than others; it's not a skill based on gender. According to State of Science Index findings, 96 percent of U.S. parents want their kids to know more about science. It's critical for us to maintain interest during the middle school years, and according to Moss it's our responsibility to help children see the possibilities. “Kids in fifth through eighth grade have a whole lot of empathy and really do want to make the world a better place,” she says. “They have the power, but we need to instill confidence and give them the tools and encouragement to pursue STEM."